Tom Helm is a Loveland coffee roaster. On Friday his Brewsworthy Coffee is partnering with a local ceramicist for a night of coffee tasting and education about pottery making, coffee roasting, and various coffee brewing methods. 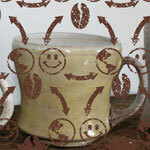 Visit the Q&C Studios on West 2nd Street, taste some great coffee and learn about pottery making! This event is free to the public, and while items will be available for sale, this event is intended for education and fun. Light hors d'oeuvres will be served. Helm says this about his coffee, "We have NO stale roasted beans lying around. We roast your coffee, to your specifications, when you order it. If you want a light roast, an espresso roast, or any roast in between, we make sure you receive your coffee the way you want it! John Giroux of Family Mortgage, the "idea" man behind the Loveland 365 project is also a founder of C.L.E.A.R. (Coalition of Loveland for Education, Awareness and Resources), which visits schools and teaches youth about the dangers of meth. 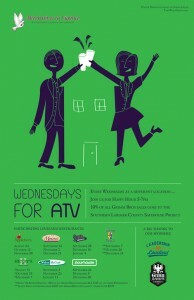 Next Saturday 3/31/12, there will be a walk around Lake Loveland in memory of Mitch Gray. Read full details here in an article in the Reporter Herald. If you think meth doesn't affect us here in Loveland ... think again! 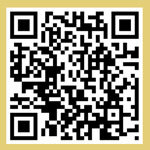 Check out C.L.E.A.R. on Facebook! And mark your calendar to participate in the walk next weekend. You can sign up online here on the Mitch's March Against Meth website. Loveland 365 - the perfect gift! Now that the book - Loveland 365 - has been in people's hands and homes, they are telling us how they must sit down, how they take their time going page by page. They tell us they are delighted to see places they love and people they know. We often hear, "I wish I'd ordered one. My mom (or brother or teacher) would love that for Christmas." The books are still available through Alternatives to Violence and Habitat for Humanity. Don't delay! You will have a limited edition gift to give someone special ... and your purchase will benefit a local non-profit. The Muppets came out the day before Thanksgiving. 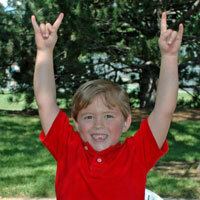 Did you see Loveland's own Gunnar Smith (he's on page 049 of "Loveland 365") in the movie? Gunnar plays Gary at age 6? Pay attention - you will be seeing this rising star more often in the near future! John Giroux recently met with Lynda Neilsen of Alternatives to Violence and Gwen Stephenson of Habitat for Humanity to give them the remaining Loveland 365 books. 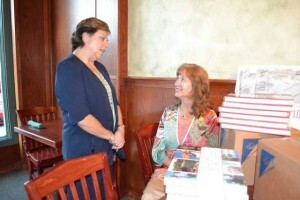 Both organizations are selling the books to directly profit their nonprofits. 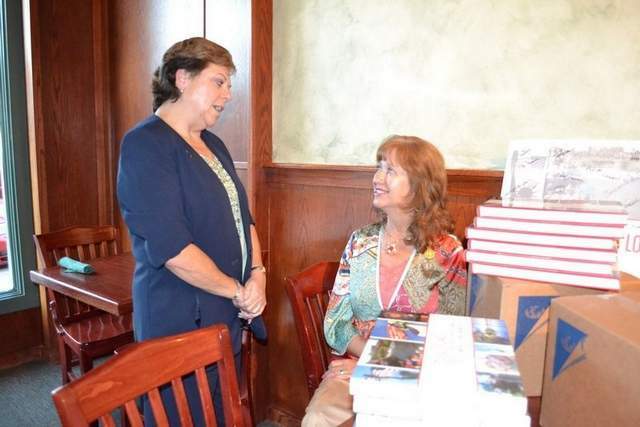 An article written by Rebecca Powell in the Loveland Connection, titled "Loveland 365 now can benefit nonprofits after last books delivered." The book hand-off took pace at Henry's downtown during a "Wednesdays 4 ATV" event sponsored by the Leadership Loveland Class of 2012. Purchase a book between 9 am Monday July 25th and 6 pm Friday July 29th and we will pick up the postage. CALL John Giroux (970-962-4061) with the recipient's name and address before 6 pm on Friday 7/29/11 and we will have this one of a kind heirloom book about Loveland delivered to the person or persons of your choice. Only 50 available during this promotion. Get yours or one for a gift before they are gone. 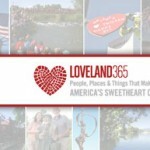 With less than 1 week to go before Loveland 365 goes to press, orders are still being taken online at Loveland365.com. Over 700 books have been pre-sold to date with only a few remaining to be sold. Purchase now before supplies run out. The current edition of the Northern Colorado Business Report ran a great story about Loveland 365. In it, Tracee Sioux wote about the issues the presale paradigm presents to the Loveland 365 team. The community support the project has received is fabulous! We are certain, when people see the book and hold it in their hands, everyone will wish they'd ordered their copy before the deadline! There is still time to place orders. Even more nonprofits have come on board, so finding and donating the proceeds from your book purchase to your favorite charity is easier than ever. Thanks, Tracee Sioux and NCBR! 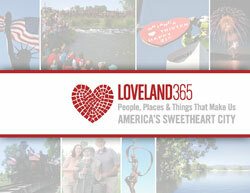 Click here to read "Loveland 365 shows love for nonprofits" online.